PMMI Lighting LLC is happy to partner with the following companies. BAM Builders is a custom home builder in Waco, Texas, servicing the Central Texas area including: Waco, Robinson, Woodway, Hewitt, Lorena, China Spring, West, and McGregor. BAM homes are designed and built with craftsmanship, innovation, and dedication to customer satisfaction. 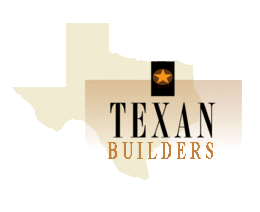 Texan Builders is a premier builder of luxury, custom homes in the Texas Hill Country with concentration on Fredericksburg, Comfort, Kerrville and Boerne. AEL manufactures a full line of commercial lighting fixtures. All lighting products are manufactured and assembled in the USA using components of the highest quality, and rigorously tested for safety and durability. Design Build Lighting is a full-service manufacturer’s rep serving south, central, and west Texas. DBL has a project focus on commercial buildings. Dream It and Make it Happen! The PMMI Lighting System is designed to encourage 3rd party application development. Makers and innovators are welcome to call our design team to visit about our lighting systems. The PMMI Command Language is a series of text commands that can literally control every function in the system. These commands are conveyed to the Arduino controller by a server application running on the Raspberry Pi. Your homegrown software application can communicate commands to the server using Linux System V Message Queues. If you are a Raspberry Pi developer and have an idea, please contact R&D.